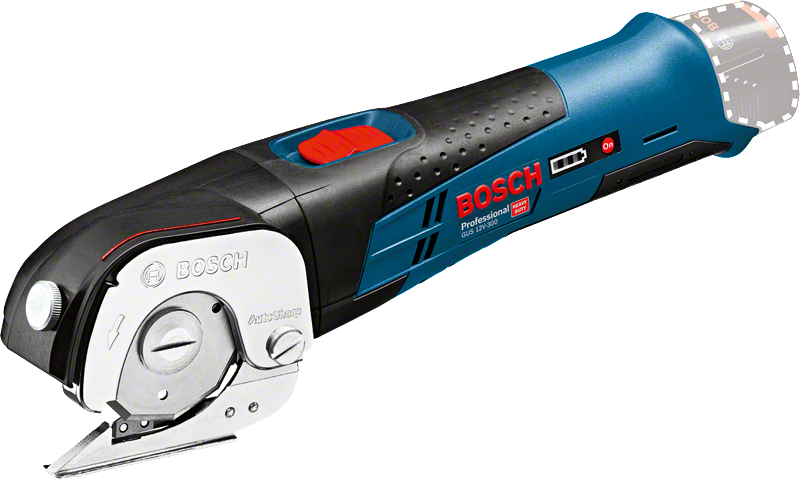 The GUS 12V-300 Professional universal shears provide a fast solution for professional applications. 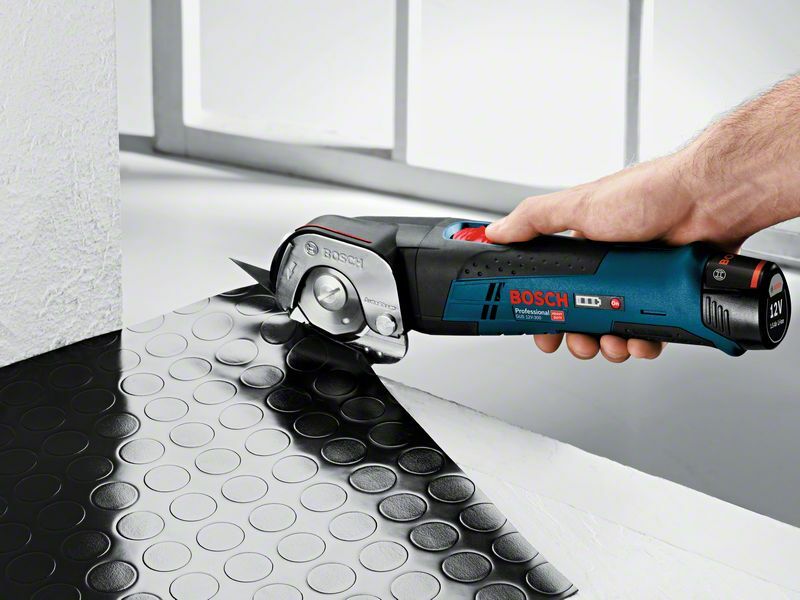 The self-sharpening multi-material blade makes the tool versatile. Additionally, fast progress is possible due to the shears' no-load speed and a good rotation ratio for soft and flexible materials. Additionally, the powerful setup provides a tough cutting performance of up to 150 m per Ah. 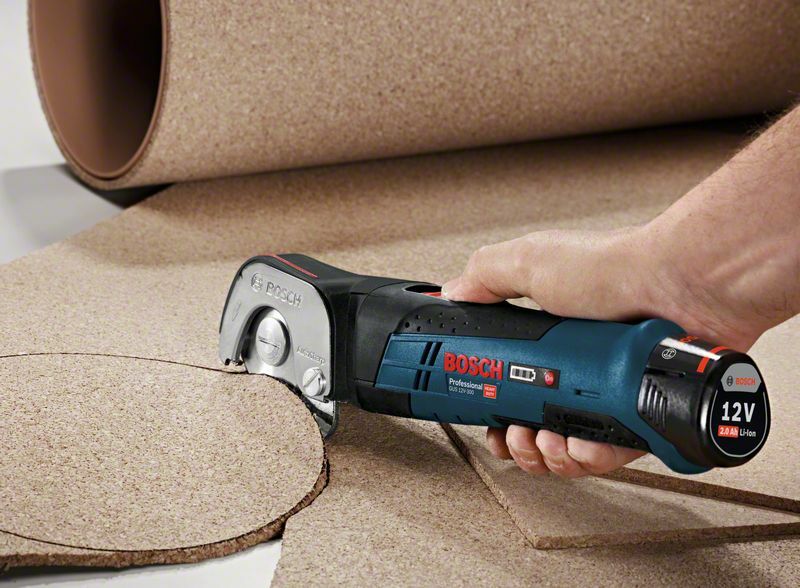 This tool is intended for cutting PVC, carpet, cardboard, leather, and fabrics. 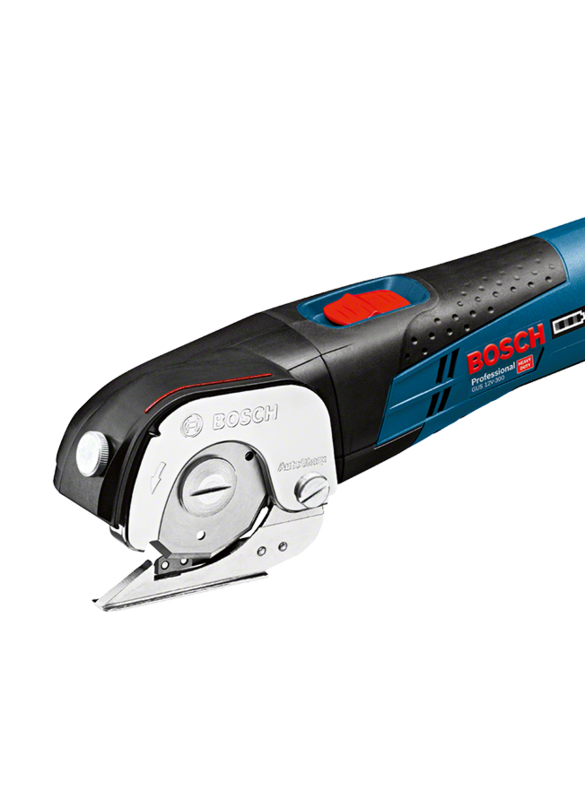 It is compatible with all Bosch Professional 12 V batteries and chargers (Flexible Power System). 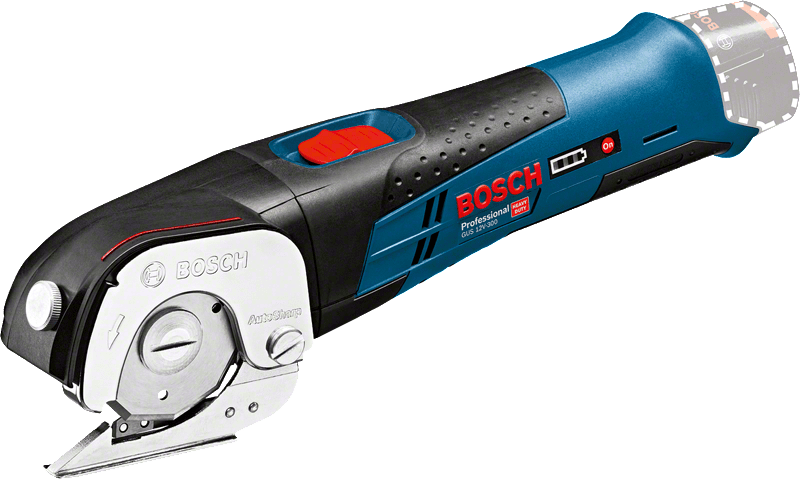 The GUS 12V-300 Professional also features autosharp and Li-ion.